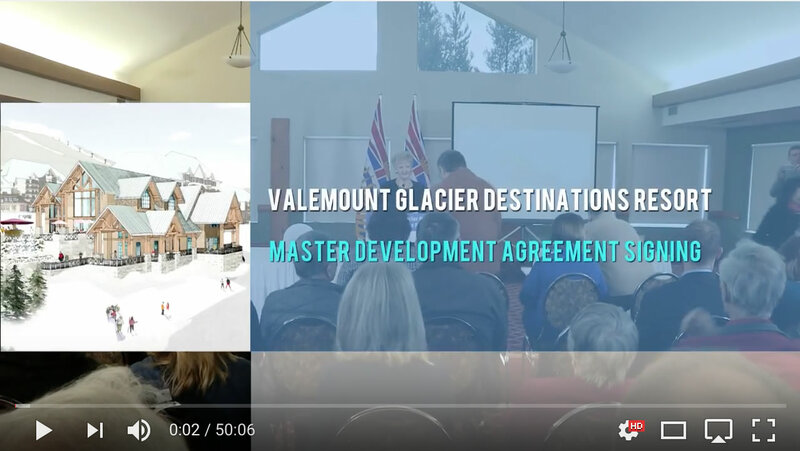 Valemount Glacier Destinations Ltd. (VGD) and the Province of British Columbia have completed a Master Development Agreement (MDA) approving a major year-round glacier sightseeing and skiing destination near Valemount, British Columbia – a first for North America. The MDA is the culmination of an approval process that began in 2012, following an invitation from the Mayor and Council of the Village of Valemount. The Mountain Resorts Branch of the Province led the review process in harmonization with the Regional District of Fraser Fort-George’s local government process. This efficient, yet thorough process resulted in a provincial Master Plan approval and the unanimous approval of an Official Community Plan amendment and rezoning by the regional district last summer. Tommaso Oberti of Oberti Resort Design and the Pheidias Group, said, “It brings great satisfaction to reach this milestone and to design and work to build a destination that is world-class and truly community-driven.” This project is designed to bring a unique and rare mountain experience to North America, boasting some of the most impressive viewpoints for sightseeing anywhere in the world. “This location opens lift access to one of the best snow zones and reliable climates for snow sports on the continent,” says Oberti. 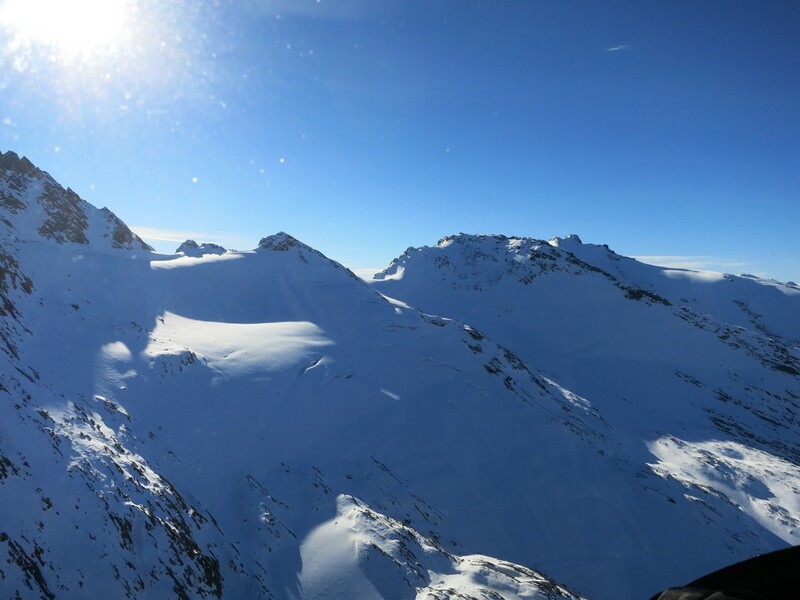 A modern lift system designed for both sightseers and skiers will take visitors to the summits of Mount Pierre Elliot Trudeau, Twilight Glacier, and the majestic McLennan Glacier. 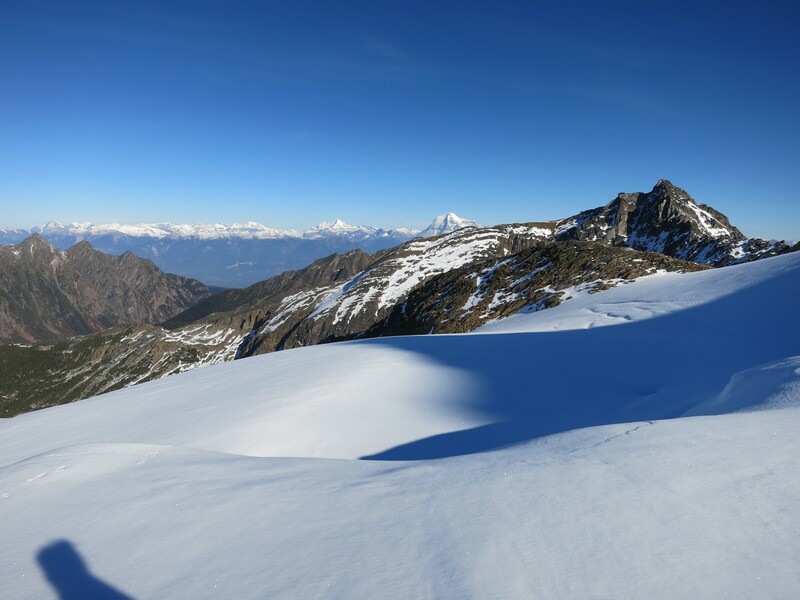 “It will be a true multi-peak experience surrounded by stunning glaciers,” continues Oberti. “VGD embodies the best of B.C. – environmentally sustainable design coupled with some of the best vistas and mountain experiences in the world.” The project is in the Premier Range, in the territory of the Simpcw First Nation, from whom VGD has secured support and has worked with from the beginning. “We have appreciated that Chief Nathan Matthew and his Council have seen positively the promise of a significant tourism destination in their territory” says Oberti. The Simpcw have participated extensively in the project through their environmental consulting company, Estsek. The architect and originator of the vision for the project, Mr. Oberto Oberti adds, “This would not have happened without the initiative and support of the people of Valemount and of the Simpcw First Nation, and it has been designed and will be developed as a community-driven project. We must recognize the vision and the efforts of so many elected representatives and individuals.” says Oberti. Including, “Minister Shirley Bond, Mayor Jeanette Townsend and her Council, the previous Mayors and Councils, the regional district’s directors (particularly Danielle Alan who presided at the public hearings), the founders of the Valemount Ski Society including Joe Nusse (who originated the first call to my office), and Bruce Wilkinson, its President, and so many others. In fact, we must thank all the people of Valemount, the Robson Valley and Chu Chua, whose initiative and enthusiasm have been the driving force of the project and the foundation of the project’s credibility with the investment community.” Oberto Oberti recognizes key contributors to the VGD company, “Particularly capital partners Greg Marchant and Hunter Milborne, as well as Jill Bodkin, who brings unparalleled experience in government and private and public companies, Tommaso Oberti, Michael Leahy, and Stephen Leahy who was a founding investor in the project. We owe to them the existence of the project.” The project team makes a very special thanks to Hon. Shirley Bond (Prince George – Valemount MLA) for her tireless work on behalf of her constituents in ensuring that the comprehensive review of the project occurred in a timely manner. This upcoming summer will be dedicated to final surveys and engineering of the lifts. The project team is preparing for the permits and the construction work for summer 2018 with the objective of an opening for Christmas 2018. 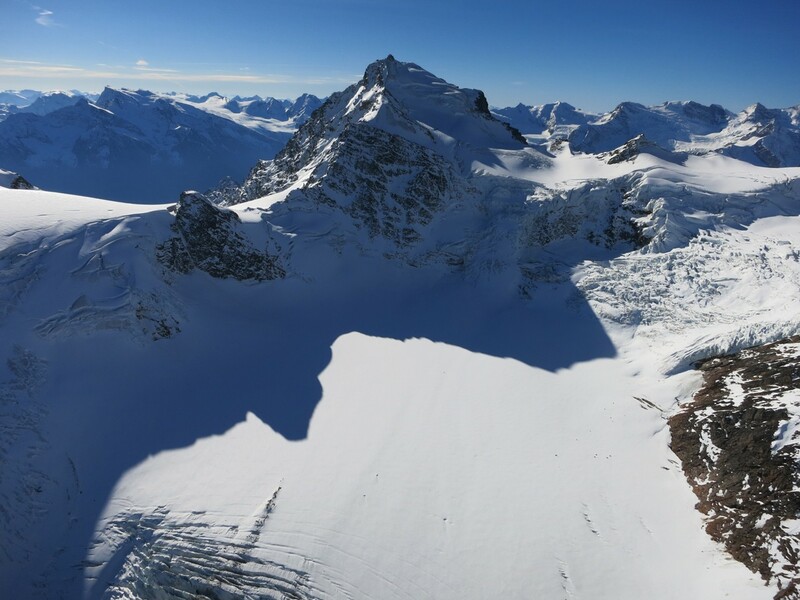 At build-out, which is expected to occur over a 15 to 20-year period, there will be public access to large glaciers at over 3,000 meters (9,850 feet) elevation – the only such access in North America – and there will be a vertical drop of approximately 2,050 meters (6,726 feet), the largest in North America and third largest in the world. It will be a major sightseeing and year-round skiing destination, welcoming visitors from the nearby National Parks and from around the world. 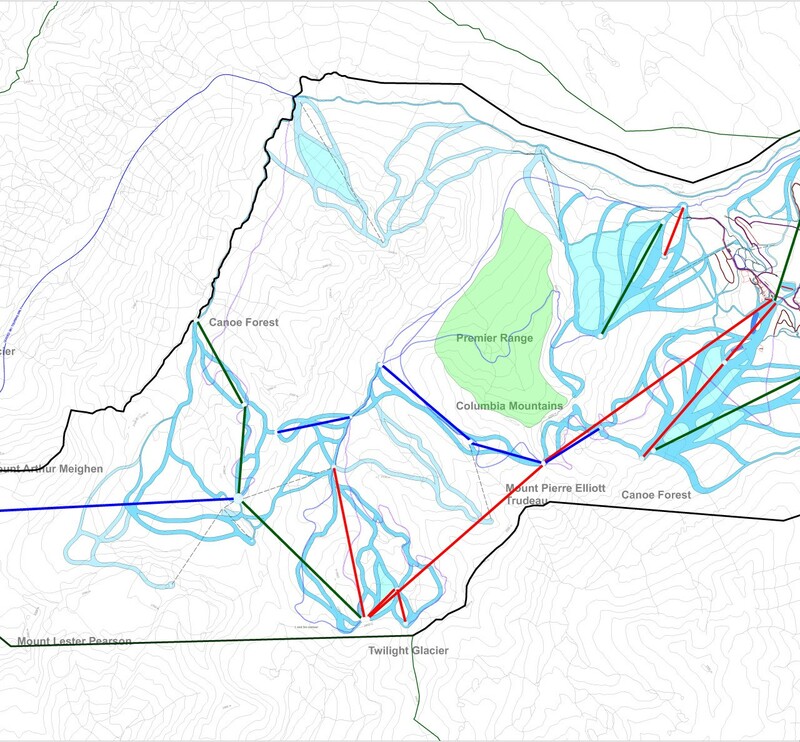 The Master Plan can be downloaded from the project website: http://valemountglaciers.com/master-plan/ QUICK FACTS VGD is the first approved (including rezoning) completely new or “greenfield” ski area in North America since the 1960s. B.C. is the only jurisdiction in North America that has both the mountains and a policy such as the All Seasons Resort Policy that favours the development of sustainable mountain tourism. B.C. is the only region in North America that has significant mountains with the right climate, elevations, latitude and accessibility for new sustainable ski areas. The Province completed the approval process for VGD in five years, including a stringent environmental review and First Nations consultations and accommodation, and in a harmonized process with local government. This is a first. 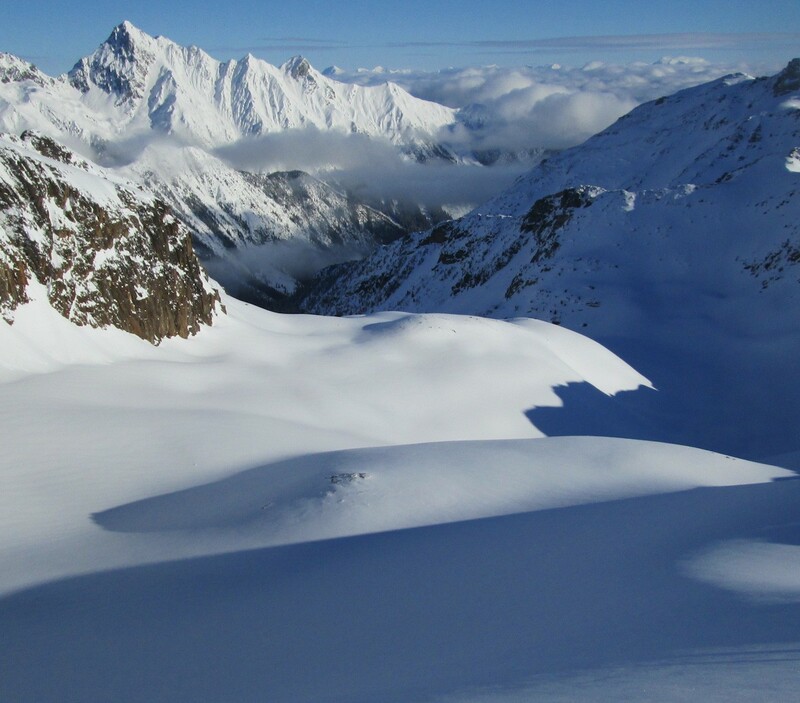 The snow conditions and skiing experience available through heli-skiing in B.C.’s interior is world famous. A comparable experience will now be opened to the public via ski lift in Valemount. Bottom elevation: 935m Top elevation: 3,025m Vertical drop: 2,090m (largest in North America, third largest in the world) Village elevation: 1,300m Phase one, stage one resort opening is targeted for Christmas 2018. Opening will be for day skiing only (with sightseeing and limited glacier skiing on the west side of Mt. Trudeau in summer 2019), with a day lodge and a high mountain restaurant. 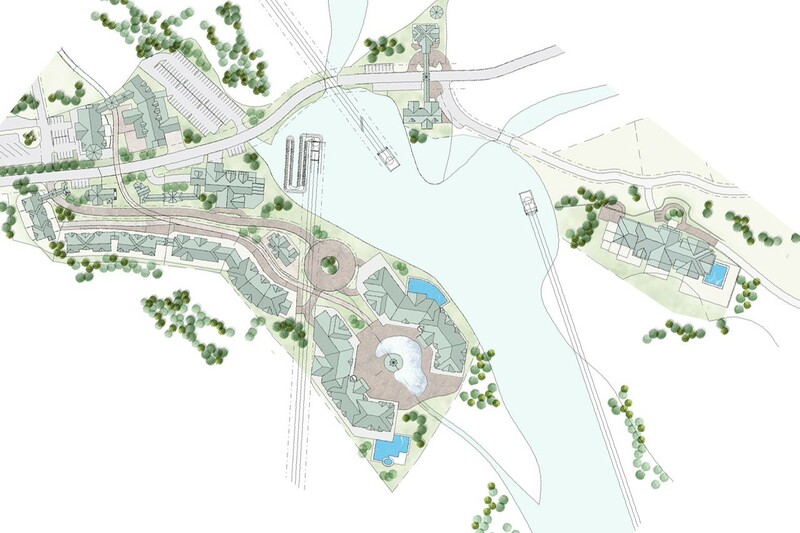 The master planned resort village at the mountain’s base will be built over three phases. Subdivision infrastructure and first residential construction at the resort is expected for 2019. Commercial/residential bed-units at build-out: 1,997 Employee housing bed-units at build-out: 298 The ski-in/ski out resort will have a pedestrian-oriented village core comprised of hotels, condominium units and ancillary buildings and will be surrounded by generously sized single family chalet lots. Development will be guided by environmental management plans and regulations as well as design guidelines. The resort is designed to minimize its impact on the environment and to be true to the architectural heritage of the Canadian Rockies. On-going environmental monitoring is part of the project. While the mountain is very large, the resort base village is small. Accommodation within the Village of Valemount, located 8km away, will be important. In addition to sightseeing and skiing, the resort will be integrated with many of the existing recreational activities of the region including snowmobiling, Nordic skiing, heli-skiing, hiking, biking, and more. An interpretive theme will be present at the resort, originating with a First Nations Interpretive Centre at the resort base and extending to interpretive trails, exhibits and signage in the alpine, providing an educational component which in addition to First Nations history and culture will include information on the glaciers and alpine ecology. Direct and indirect full-time jobs at the resort will grow to approximately 800 at build-out. Construction of the resort to build-out will generate approximately 5,905 person-years of employment. Geography and the project’s attributes provide the essential elements for a North American leader in the industry. Valemount's almost perfect snow conditions, ideal environmental features, climate, glaciers, overwhelming local enthusiasm, and a supportive government, make it unique and the first completely new North American alpine resort to be approved in decades. The project is designed to complement the National Parks, which are Canada’s largest and most recognizable international tourism destination. The nearby town of Jasper receives approximately 1.5 million visitors/year. 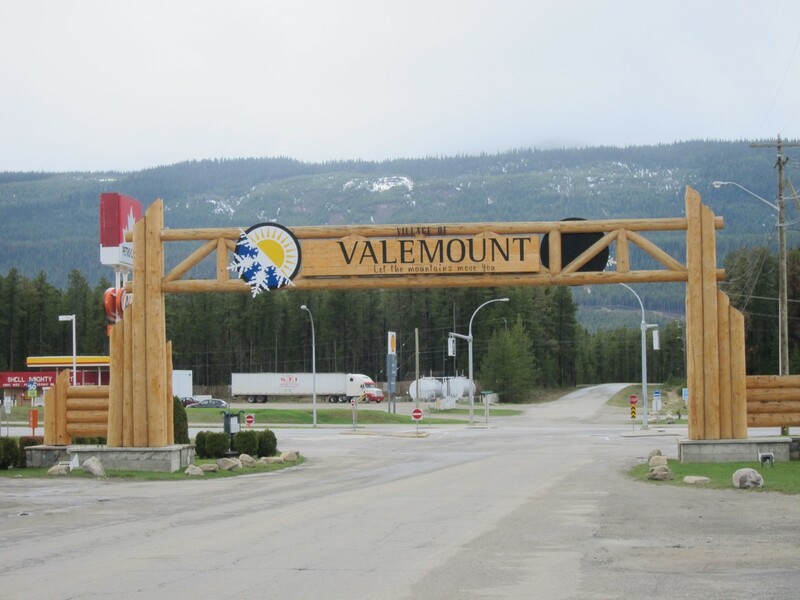 Valemount is located approximately 1 hour and fifteen minutes’ drive from Jasper along the picturesque Yellowhead highway and is accessible via Prince George (2.5 hours), Kamloops (3 hours), and Edmonton (5 hours) airports. It is located on the trans-Canada rail line and has a local airport within walking distance of the resort base. The project’s capital partners are represented by an experienced investment and development group. Hunter Milborne and of Greg Marchant, and their respective organizations, together with the Pheidias team directed by the Obertis give a strong foundation to the project. Opening investment will be approximately $100M. The size of direct and indirect investment will grow over time. Private and public interest investments, from airport expansion and charter airline services to hotels and ancillary services will generate larger investments extending over a long period of time. On completion, investment is expected to exceed the half-billion $ range. Given the size and timeline of the overall undertaking, the capital partners feel comfortable knowing that the proponents will ensure best-in-class depth and breadth of ongoing execution capability. The development groups also have a highly capable second generation in their respective organizations. The protection of development from hazardous conditions. The construction of resort buildings and subdivisions will require Development Permit approval from the Regional District Board, in addition to compliance with the Design Guidelines of the Master Plan. Construction will also require building permits. The project team is presently working towards completing a Master Development Agreement with the Province. The Master Plan can be downloaded here. VANCOUVER – Valemount Glacier Destinations Ltd. (VGD) is pleased to announce that its consultants, the Pheidias Group and Oberti Resort Design have formally submitted the Master Plan for what will be the premier alpine sightseeing and skiing resort in North America and that the Province has accepted it. In an October 19, 2015 letter to the project’s planners, the Province indicated that the Master Plan meets its requirements for acceptance and it will initiate a Master Plan Review Process under the its All Seasons Resort Policy and Guidelines. 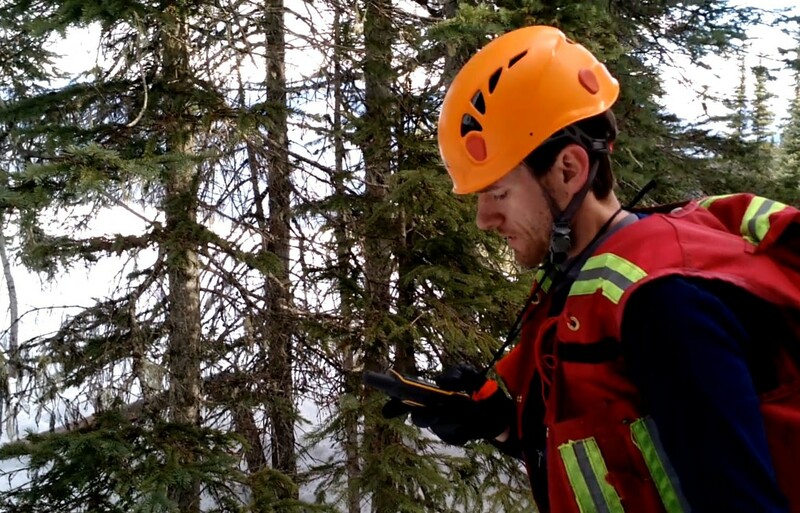 The Mountain Resorts Branch of the Ministry of Forests, Lands and Natural Resource Operations of the Province of British Columbia will lead the process. A public Open House presenting the Master Plan will be held in Valemount on November 4th, 2015. “We are working diligently to build an unparalleled mountain destination in cooperation with the people of Valemount and the Simpcw First Nation,” said Oberto Oberti, the project’s designer and the President and CEO of VGD, “Our goal is to achieve a Master Development Agreement with the Province by the Spring of 2016.” Construction is expected to begin shortly thereafter. 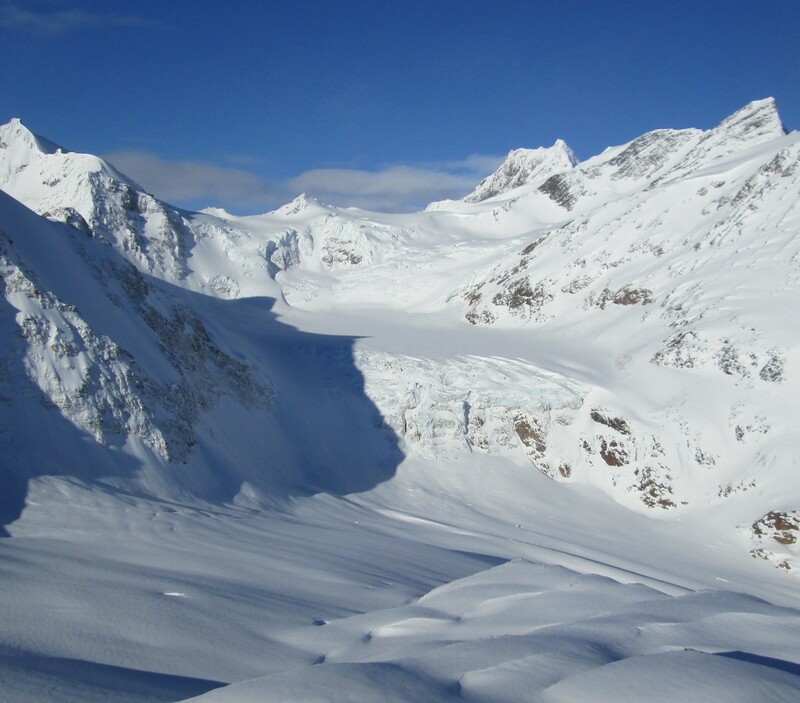 The Master Plan is available for downloading at the project website: http://valemountglaciers.com/master-plan/ The Valemount Glacier Destination project will offer high alpine glacier sightseeing, year-round skiing and the largest vertical drop in North America by a wide margin. It is expected to attract destination visitors from around the world. For more information please contact Tommaso Oberti at toberti@pheidias.ca or (604) 662-8833. One person has been close to the centre of Valemount Glacier Destinations project from the very beginning. By Andru McCracken Valemount is a village in eastern British Columbia surrounded by tremendous beauty, but unlike towns similarly endowed and just a hundred kilometers away in the national parks, the village has only pursued tourism in the last 20 years. 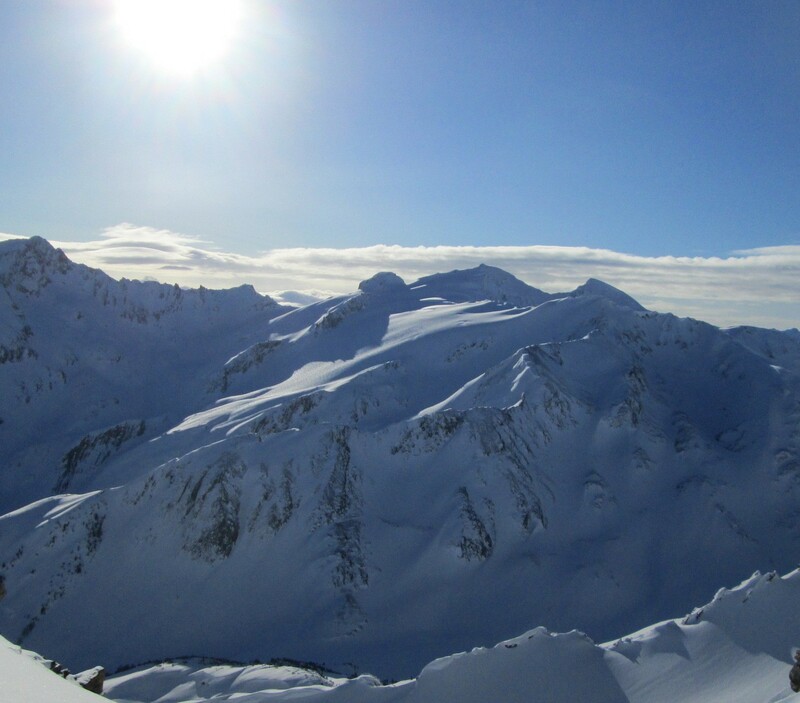 By Andru McCracken In simple terms the proposed resort, Valemount Glacier Destinations, promises lift service to the top of glaciers in the Premier Range. It will be the first of its kind in North America. 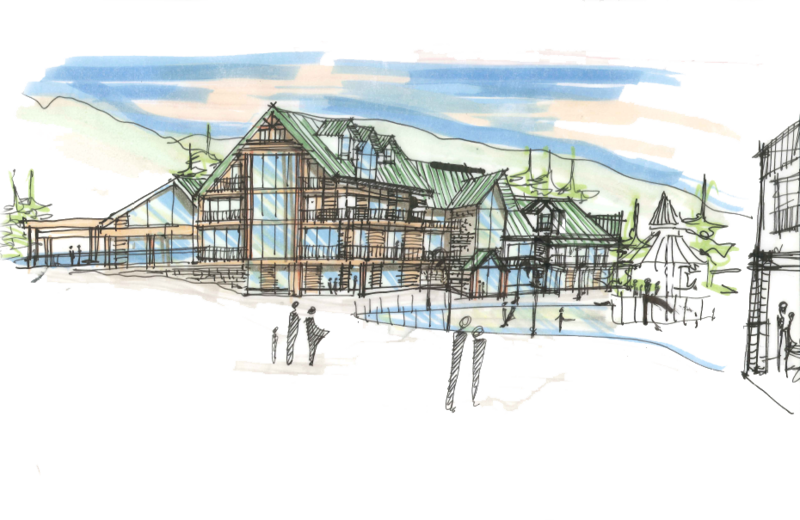 The proposed resort features year round skiing on a glacier. Yes, year round skiing on a glacier. By Andru McCracken One of the most exciting parts of being involved in Valemount Glacier Destination Resorts has been seeing how community stakeholders have initiated and shaped this project. 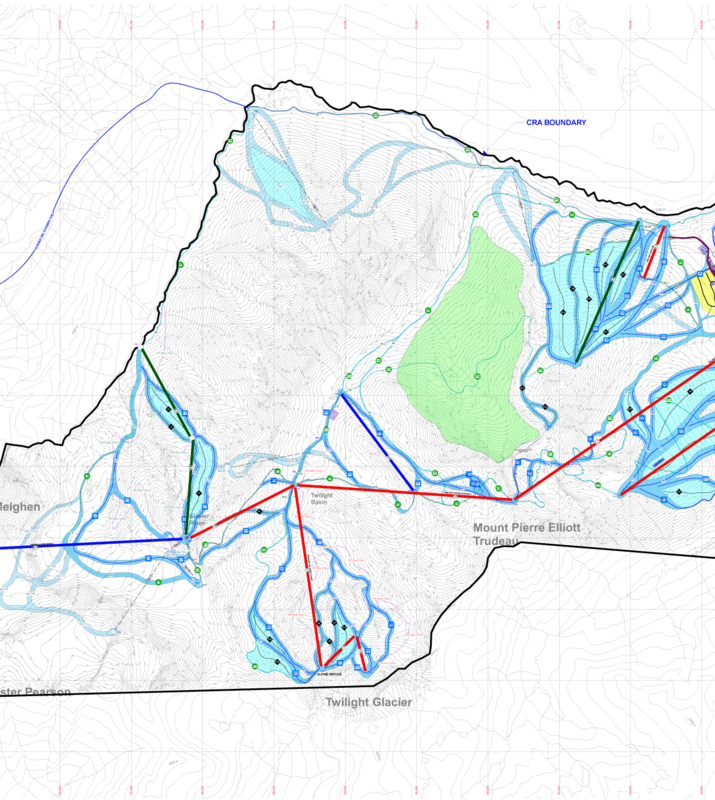 Master Plan Submitted to Mountain Resorts Branch Valemount Glacier Destinations Ltd. is pleased to announce that a draft of the Master Plan has been submitted to the Mountain Resorts Branch of the Ministry of Forests, Lands and Natural Resource Operations. An electronic copy and a three-volume printed copy was delivered to the MRB offices in Kamloops, BC today. © copyright Valemount Glacier Destinations Ltd.